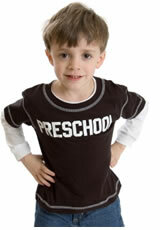 Has your child care service been affected? Problems with the Child Care Management System's ability to handle a large volume of transactions at peak times have resulted in some payments not being processed as quickly as usual. According to the Minister for Child Care, Kate Ellis, the department is working to resolve the issues and she says contingency plans are in place to assist services affected by the CCMS meltdown. 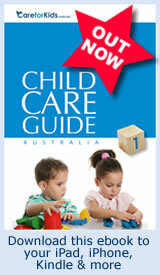 "Where child care centres are experiencing difficulties with the system, alternative arrangements have been made. Child care centres can access continuity payments from the Department to minimise disruption and manual payments are currently being processed within 24 hours," she said. Opposition spokesperson for child care Sussan Ley said Minister Ellis had downplayed problems and that DEEWR officials questioned in recent Senate Estimates hearings confirmed they had received an average of 77 complaints per day since January, with calls peaking at over 350 on 31 January and 6 February. "This is the tip of the iceberg," said Ms Ley. Early childhood education is a hot topic in the UK media right now due to an academically rigorous curriculum being implemented by the Government. The Early Years Foundation Stage (EYFS) is a comprehensive statutory framework that sets the standards for the learning, development and care of children from birth to five for nurseries, preschools and child minders. The EYFS was introduced in 2008, and was recently overhauled following a review published in 2011, which found that the academic requirements of the framework weren't enhancing children's early development. The overhauled version of the framework is due to be implemented in September this year and while it cuts the number of academic targets under-fives are supposed to meet from 69 to 17 it has met with widespread criticism for being too academic. Use everyday language to describe and compare size, weight, capacity, time and distance. 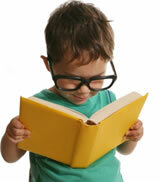 March 2 marks the birthday of one the most loved children's authors of all time: Dr Seuss (Theodore Seuss Geisel). To celebrate we've got three fabulous Dr Seuss Beginner Book Packs to giveaway. Simply login to CareforKids.com.au, check your vacancy and fee information is up-to-date and you automatically go in the draw. 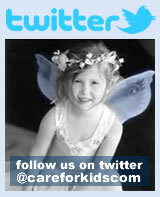 We'll announce the winners in next month's edition of Child Care News. 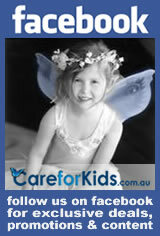 » Click here to login and update …and as always thanks for being part of the CareforKids.com.au community. This month we are proud to introduce you to Lucette van Someren Boyd owner and director of Montessori By-The-Bay in Monterey NSW. Montessori is one of the fastest growing educational approaches in the world and an estimated 20,000 schools across the world currently teach in the Montessori style. This article explores some of the unique characteristics of the Montessori approach and looks at how it operates in the early childhood setting. On 6 January 1907 Dr Maria Montessori, the first Italian woman to become a physician, opened the original Montessori School in San Lorenzo, Italy. 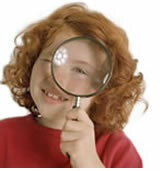 Dr Montessori based her educational methods on scientific observation of children's learning processes. Guided by her discovery that children teach themselves, Dr Montessori designed a "prepared environment" in which children could freely choose from a number of developmentally appropriate activities. Now more than a hundred years later the Montessori approach is a well established and very popular option in Australia's education landscape for both early childhood teachers and parents. Please note that while the Montessori method is taught right through to high school this article focuses on early years education, specifically ages zero-six years. Saint Patrick's Day occurs on 17 March and (funnily enough) commemorates the life of Saint Patrick, the most well known patron saint of Ireland. People across the world celebrate with music, food and drink and by wearing green clothes, especially shamrocks. This month's craft ideas are inspired by Saint Patrick's Day and if you put some Irish music on while working, you and the kids will soon be in the spirit of things. Leprechaun paper bag puppet - a quick and easy paper bag project suitable for kids two and older. Lenny the leprechaun - a more complicated leprechaun inspired project better suited to kids four and older. Simple leprechaun paper crafts - one final leprechaun project suitable for all ages. Shamrock collage- this can be as simple or as complicated as the kids like. 3D shamrocks - this lovely project results in a hanging decoration you could use to decorate your room. 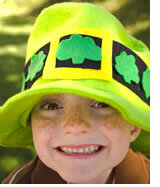 Shamrock crown - make a hat and hold a parade just like they do in Ireland! Pot of gold collage - another quick and easy gluing project for the smaller kids. Handprint rainbow - remember to pop a pot of gold at the end of your rainbow! Shamrock tree - this could easily be adapted as a class project with each child decorating a shamrock to add to the tree. 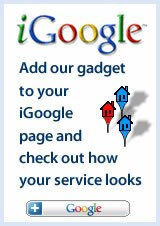 I hope you have settled into the New Year successfully and that your service is going well. This month we have a close look at one of the world's fastest growing educational approaches: Montessori. Adding depth to this story is a profile with Lucette van Someren Boyd, director of Montessori By-The-Bay in Monterey NSW. 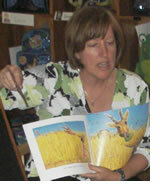 Lucette is a passionate advocate of the Montessori approach and her profile makes for a fascinating read. Interesting new changes in the UK's early childhood sector have been very controversial and we are interested to hear what you think about these changes and whether they would be appropriate here. 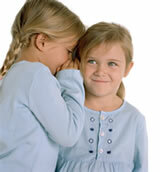 Has your child care service been affected by the problems with the CCMS meltdown? Share your experiences here. We also have our usual craft ideas and a fabulous Dr Seuss giveaway. As always please drop me a line if you have any comments or if you know a child care professional who we should profile in an upcoming issue. Interviewees receive a selection of DVDs for their service courtesy of Roadshow Entertainment.